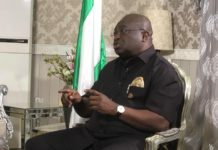 Governor Okezie Ikpeazu speaks on the polity that is obviously heating up following the defection of some politicians from the All Progressives Congress (APC), the ruling party at the federal level, and the move by some minority lawmakers in Benue State to impeach Governor Samuel Ortom. 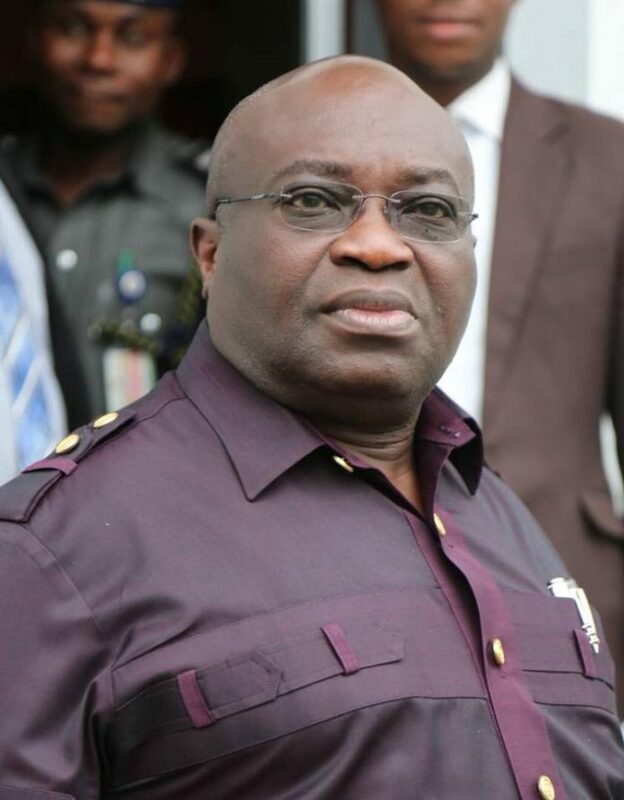 He also speaks on his Abia State administration and prospects of second term. Three years after, what will you say you have done?My greatest achievement in the past three years is being able to mobilise my people socially. They understand my vision and keyed into that vision and they see what I see. This is important to me because the tragedy of leadership in Africa is that, more often than not, we fail to carry the people along. And it gets to a point where it looks like the train is moving at a high speed but the coaches are not part of it. So you arrive at your destination but you haven’t arrived with either the passengers or the goods. And then, it makes it difficult to lead the people if they are not mobilised. But the only way you can mobilise the people socially, going forward, is to be able to be a man of your words. Your vision must be clear and then you must be able to keep to your words, then you must speak to the quality of infrastructure you are delivering so they can say that, ‘if his man is willing to eat from the same pot with us, then he is not likely to poison us’. Today, there seems to be a disconnect here and there. And sometimes you look back to see that whatever infrastructure you deliver to the people has been vandalized within one month. What it means is that there is a rejection of that infrastructure as in this is not good enough. It is not the same thing you would have given to your child that you would give to your community. In 2015, we were clear-minded about the direction we were going to take. We defined what we wanted to do to create better life for Abia people, leveraging on those things we can do better than other people. And then, looking at the vision, we were able to craft our five pillars of development. We can’t do everything at the same time but we must focus on the things that are tangible, things that can give us comparative and competitive advantage over other states especially when we were not going to have the kind of money we required. We were able to have some logical basis for prioritization. So, the first of the five pillars is agriculture because Abia has the most fertile soil in the world. The other one is small and medium enterprise, SME; small and medium manufacturing. Today, Abia exports about two million pairs of shoes to the rest of African countries. We do the best shoes, bags, belts and everything that is leather based and we are also very strong in garments. So, the World Bank recorded 250,000 people doing this. And when we did a deep study, we found that each of the 250,000 people the World Bank recorded had four people in their employ, so simply, about a million people are involved in one kind of manufacturing or the other. Beyond SME is oil and gas because we have oil deposits in one or two of our local governments in the southern part of Abia. Education is also a key pillar and also an enabler. So, the things you look at are those things that facilitate or enable the pillars to stand and become economically relevant to the people. So, our enablers are roads infrastructure, security, health and all of that and, if you come to roads, we are active on about 150 to 160 roads but we have delivered over 67 and all the roads, even the ones we commissioned within the first 100 days in office are still solid. What it means is that today, we are beginning to do a few things differently from how it was done before. We run a research and data based government. We must do scientific analysis of the soil. The treatment we deployed in Aba for road construction is different from the one we deploy in other parts of Abia; that’s why we started the rigid pavement (cement) technology in Aba and that comes on roads that have had water sitting on them for 5, 6, 7years, some were abandoned for ten years; so if you want to recover those roads, the best thing to do is to deploy rigid pavement technology. We have done a couple of roads in Aba where we pioneered cement pavement technology. 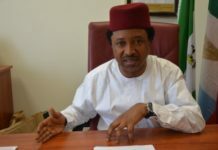 But the roads we were set to do and most of which we have done today are around Aba and people, who are not deep enough in terms of developmental strategy or not deep enough in terms of the philosophy of the government, find it difficult to understand that Aba is at the confluence of the South-east and the South-south. You can’t ignore Aba. It is 30minutes from Ikot Ekpene and Port Harcourt to Aba and about 45minutes from Owerri and there is a catchment business population of about 25million people coming to do things from Delta, Bayelsa in Aba; with 15 markets and one of those markets has about 100,000 shops. So, the economy of my state, if I want to speak in terms of internal revenue, is Aba. So, if I get Aba right, I probably would be able to generate enough revenue to develop other parts of the state. But the roads we have been doing in Aba are short roads, streets. But the roads in Abia north are long roads. We have concentrated on Aba because we think that if we unlock Aba, it will have a multiplier effect and it has worked. So, if you come to Aba, we targeted roads that lead to specific economic hubs. What people are enjoying today is that from every part of Aba is about 15minutes to Ariaria but the rigor and thought and planning deployed into that road is something else. Tell us about sports, the Enyimba Stadium. It is a whole new facility now. Once again, it falls into our plan. We don’t do palliatives and we don’t do unplanned projects. When we came, enjoying soccer on Enyimba turf that I inherited entailed that anytime it rained, you will bring two big foams intermittently to mop water from the field. So periodically you stop a soccer game and people will be mopping. So when the answer came, we decided to go for the best. What we have delivered in Enyimba today is semisynthetic, some natural, some synthetic turf, the best in the world and it cost us about 1.5million euros. Then we decided to retool the entire infrastructure and we deplored the best floodlights, 64 of them even though 4 units only can light up the entire stadium and it cost us about 120million naira. The 20, 000 capacity stadium i inherited also had no toilets. We are doing brand new toilets including the ones that can accommodate people with disability. We are doing the dressing room of both the home team and the visiting team. All of them will debut on August 19. We will be hosting the veterans to come and try the turf and we have received wonderful testimonies about it and I am happy that it is coming out very well. Here again it took a lot of money, it took some time and people were at a time becoming impatient but finally they are excited that it took time and we have given them world class facility. That stadium is the biggest stadium in the world today, it is 105 by 75. Talking politics now, are you running for office again? I will take that decision in two weeks’ time. 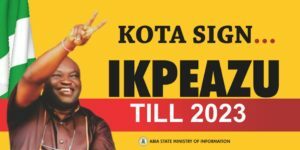 This question is coming because your major opponent three years ago, Dr. Alex Otti, has already declared and his posters are everywhere. 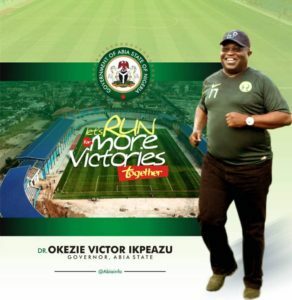 In Abia, we don’t think Alex is a formidable opponent because contemporary politics today is about track records and what you have done; we have things that we will show the people that we have done and challenge anybody coming to contest against us to show us what he has also done. Otti is not an opponent to worry about. Tell us about Enyimba Economic City. Is it another dimension you have taken to really open up Aba? Enyimba Economic City is an alternative city located between Aba and Port Harcourt. It will take some chunks of land from three local governments. This city is borne out of a need to recreate Dubai in Abia State and that is the concept I am working on and we are designing it to work as the best in the world. The idea is to create an efficient technology-driven digital city for light and heavy manufacturing and we have done all the surveys and we found out that it is the choicest and the best economic city today in Africa. There is none like it because it is 30minutes away from two sea ports, Abonima and Onne. It has a rail line straight from there to Kano. Again, it has gas for energy because that is where we have our gas belt but, most importantly, it is close to the highly skilled and energetic Aba manpower. A lot of people expressed worry that I have been to China more times than many people have been around there in their lifetime. It is because they don’t understand; the future of Abia, our tomorrow, is the Enyimba Economic City. We are targeting employment for about 70,000 youths. And we are targeting, first of all a garment factory that will occupy 200hectares of land which will put a stop to our people frequenting China for the raw materials they use for their garment business. So we have it all planned out and it doesn’t take one trip to achieve that. But I am proud to say is that the MoU has been signed between Enyimba Economic City and some core investors such that one investor is ready to bring in $20billion. You came into office when Nigeria was in recession. How have you been able to execute your projects? Did you borrow? Many states are weighed down by salary issue. How have you been able to navigate this terrain? 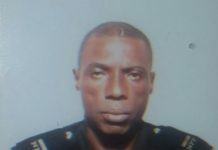 It hasn’t been easy because I inherited issues around pension. It’s been there but I’m lucky that we were able to deploy inflows from Paris refund and so on. We are not indebted to any ministry today. We are back with pension for some months and few months for some parastatals. The policy of this administration is that if you are a revenue generating parastatal, you should be able to pay your workers. For instance, why should I be giving subventions to Abia Line whereas Izuchukwu and ABC Transport are surviving without subvention? Abia State University has run for three years and no strike. It is the fourth on the scale of employment and it has moved from number 90 to number 30 and up to speed in salary. This is what we preach. Today we are retooling our Internal Revenue Board and we are going to recruit first class, 2.1 graduates to run that place like a business enterprise. And we will pay the staff like a private sector organization but they must be able to deliver. We must run an efficient government and that is my thinking. But there is an outcry in Abia State Polytechnic. Workers there have not been paid for some time now. How are you addressing that issue? When I came in, we gave Abia State Polytechnic N2 billion, which is equivalent to a one year salary and I was just three months old when we gave them the money because they were owing a bank N2 billion and the bank was taking N70 million every month. How will they get 70 million every month when students don’t pay school fees every month? So I saw that they were running into trouble and I paid that N2 billion. 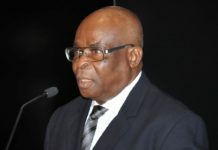 And I said to them that I’m going to give you 2, 3 months subvention of N140 million each, for crying out loud, you should stand up on your feet because, from the projection of students, they have indicated that they collect N2.1 or so billion naira every year and their wage bill was in the region of N1.8 billion. So, they should have 200 million naira to play with as overhead. Why should they owe and yet they teach accounting and economics? So, when we did a little forensic audit, we discovered that they had about 42 different bank accounts. I cannot fund fraud. I do not believe in political expediency, I do what is right. If I see something that is fraudulent, if I want to improve it, my hand won’t even allow me to do so. The good news is that I have recently observed a commitment by the staff to work with the management to improve things in the school in order to be on a sustainable growth trajectory. We will support them as much as possible. The polity is heating up. You have defections here and there, a siege to the senate president and deputy senate president’s residences. Then, the impeachment move in Benue State that involved 8 out of 22 lawmakers. Could you say democracy is under threat? I will say two things. The greatest achievement of democrats from all shades and colours, talk about Ndubuisi Kanu of NADECO, Bola Tinubu who went into exile at some point, Eziuche Ubani, the late Chima Ubani, Femi Falana and Mike Ozekhome and narrow it down to even the late Olusola Saraki and the son that is now the senate president, Lateef Jakande, Gani Fawehinmi, the totality of their efforts and the icing on the cake was the platform called the PDP. But the PDP failed in many respects. One is that they became arrogant and complacent. Two, they took Nigerians for granted. But they did something remarkable which was to build and deepen democracy. They had patience to allow the democratic process take its course, establish the process and procedure to run. For you to be a democrat, it requires a lot of patience because a lot of things that will require you wielding the big stick and you ask yourself, what platform am I playing? This is democracy. There is no quick fix. If it doesn’t come out the way you want it, then you might say, it is the will of the people. Nobody happens upon any place without the will of the people and then it culminated in the 2015 elections which a sitting president lost and he handed over. That was the best moment for Nigeria. So, we should all hold that sacrosanct and build on it. So, for every democrat wherever you find yourself, it doesn’t matter the platform or the colour of your flag, if you see things that will undermine that spirit, it then means you have to be cautious. PDP, your party, is going into a contest with other political parties especially another big party, the APC. With all the scenarios that we see, do you think the opposition is set to reclaim power in 2019? I have not done that assessment now but if I want to do the assessment I will do it piece meal, state by state, zone by zone, issue by issue and, sincerely speaking, I don’t wallow in self-patronage because I want to believe that the kind of democracy that I like a lot is a kind that is performance-driven. If you like, be an independent candidate but let it be that you have something to show the people. This is my past. This is my pedigree. These are my footprints and it is the same footprints that I bring to bear. If you’re running for a political office and you don’t have a good past, I expect you to have the courage to say ‘I have made mistakes in the past but now I want to correct myself and do better’. That is the minimum standard. 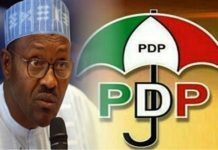 So the level of preparedness of the PDP as an opposition against the party in power will be determined by an aggregation of the efforts from one area to the other, from one zone to the other. There cannot be one answer. Anybody who stands up to say ‘we are ready’ is not being fair to the question and anybody who also says ‘we are not ready’ is also not being fair to the question. So, I would like to be academic about it. I would like to do a deep study of it, and then I will be able to know the accumulation of those efforts, whether they can give us a fair chance to take a shot at the centre. There have been many endorsements for you to run for a second term. Are you accepting those calls? I am humbled by the outpouring of support, especially from the clergy. To tell you the truth, coming from the pulpit is quite humbling. To tell you, all the endorsements, juxtapose it with what we have done, it will help me to take a decision. I am a simple-minded person and what I mean by that is that I am yet to wear my toga in politics; I am still in the trenches walking. For instance, we just said that if there are a few parastatals that have met the minimum standard in terms of closing frivolous accounts, correcting their books and coming onto our platform so that we can see and know what they are doing, then we can help them deal with the issue of salary and all that. So I have drawn a matrix that will enable us bring parastatals that are supposed to be paying salaries and pay money to government up to speed because we don’t want anyone to feel worried. You see our opponent lack what to say now. 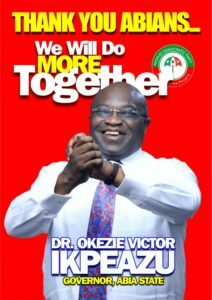 You can never hear anybody say that the quality of jobs we are doing in Abia is not good enough. You know some opponents suffer selective amnesia; they only remember what they want to remember. But the jobs we have done in many places speak for themselves. So, I am saying that the way we put all these together will help me take a decision. 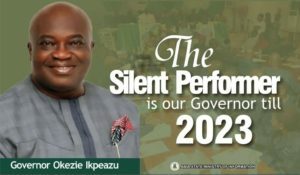 But I am yet to see people that are contesting because we have been able to raise the bar to tell Abia people: In this election, you must put your poster on your hand work. If you have done your own on facebook, go and put it on your phone. But don’t go and put your poster on the flyover that I am doing in Aba. What is your relationship with the ordinary people on the street, the feedback you are getting from them because it is important in governance? I don’t use what they call armoured vehicles and you know why? For the past three years I’ve been enjoying my ride sitting in a vehicle and it is that same road that I pass and I shake hands with Keke person or Okada person, they will tell you the truth. If the contractor of road A has disappeared, they say the contractor has abandoned it, I don’t like the material the man is using for the drainage, you can go and see and make sure you verify. It enforces that feedback. I went to inspect the stadium about four days ago and drove myself. What you see when people say they are holding a rally is what you see when I step into Ariaria from my vehicle. I entertained the vice president when he came to commission the independent power project for Ariaria. I forgot to tell you that part of Ariaria today has been enjoying electricity for up to eight months now, uninterrupted. So, we went to see the infrastructure there and by the time we moved into Ariaria, I said ‘Oga, please don’t feel embarrassed. This is like what you see in Ojuelegba’. He said ‘this is beyond what you see in Ojuelegba’. It was not planned and when we stepped out, we couldn’t move an inch. Part of what I told our people in 2015 is that this is a common governor for the common people because my father was a teacher, my mother a nurse and me a teacher. So, I belong to the people. I am not one of those that you can classify as a special person. I attended public schools all through. So I think that by the special grace of God, we have managed to connect with the people. You came into office when Nigeria was in recession. How were you able to execute your projects? Did you borrow? I will tell you the truth. In Nigeria today, whether you qualify to borrow or not, it is a function of an index DMO will calculate to determine your ability to pay. If you are heavily indebted, you won’t be given because you can’t even borrow without the DMO. We have a subnational government but our tail is tied to the centre in the Ministry of Finance. Yes I had reason to borrow a few times but no lender will give you money beyond your tenure. So it gives me opportunity to challenge my IGR. For instance if my IGR is N800 million naira and I am owing a bank 800million and I need to pay 800 million every month to liquidate what I borrowed, if I borrowed 8 billion and I need 10 months to pay up what I owe which means 800 million every month, I will have to go and tax my IGR people to move it to 1 billion so that government recurrent expenditure can run also. So it helps me keep my eyes on the target and that is the only way I can come up with a huge chunk of money to deploy to solid infrastructure. I cannot borrow to pay salary but I can borrow to do infrastructure and I will borrow and pay back within my tenure.